Our goal is to provide high quality music instruction in an intensive, intimate setting that is FUN! Our instructors are carefully selected for both their proficiency in bluegrass playing and their skill in teaching. We limit our enrollment to sixty students, ensuring a low student:teacher ratio. We currently have 20 guitar students enrolled. We are accepting open enrollment for mandolin and fiddle and taking registration for wait list for guitar. Students are encouraged to stay on campus during the bluegrass camp so they can participate late into the night in instructor-led jams sessions, jam in their own small groups and socialize with their fellow music camp students, instructors and Slocum Hall staff. Information regarding onsite camping or lodging in Slocum Hall guest rooms is available through the National Old Time Fiddle Contest office: 208-414-0255. 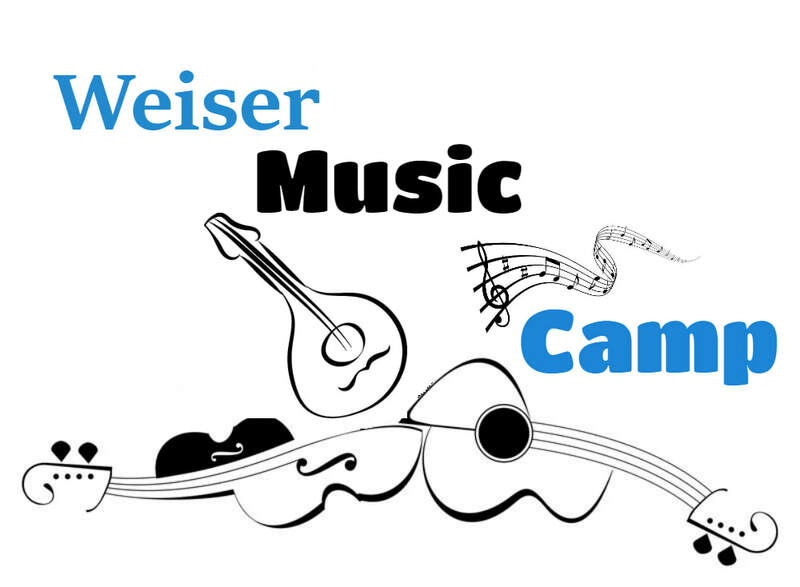 Tuition for 2019 Weiser Music Camp is $300. Enrollments are taken first come, first served. A deposit of $100 secures your seat at the camp, whose enrollment is limited to sixty students. Deposits are fully refundable for cancellations received before January 31 and 50% refundable before March 15. ​Balance is due in full by May 1st, 2019. Tuition includes food for Friday, Saturday and Sunday (3 breakfasts, 2 lunches, 2 dinners). Accommodations can be made for special dietary needs.